Since February is Heart Health Month, I want to continue raising awareness about the risk factors for cardiovascular disease, particularly those that are clustered together in metabolic syndrome. Metabolic syndrome is a complex of symptoms that can be the precursor of diabetes or heart disease. It is defined as the presence of three or more of the following markers: high blood pressure, high triglycerides, low HDL cholesterol, elevated blood sugar, and increased abdominal girth. The high levels of insulin seen in metabolic syndrome appear to increase the progression of atherosclerosis, the deposition of high cholesterol plaques on the artery walls. Many people who have this constellation of issues don’t realize that they are interrelated and can be addressed together to some extent. Hibiscus is a delicious tasting beverage tea that seems to be uniquely suited for people with metabolic syndrome. One study with diabetic patients, showed that two cups of hibiscus tea daily helped lower triglycerides and total cholesterol and raise HDL cholesterol, the good cholesterol. These finding were supported by a second study, which also showed a reduction in blood sugar levels in participants with metabolic syndrome. It is hypothesized that hibiscus helps improve insulin resistance, which is an underlying aspect of the symptoms of metabolic syndrome. 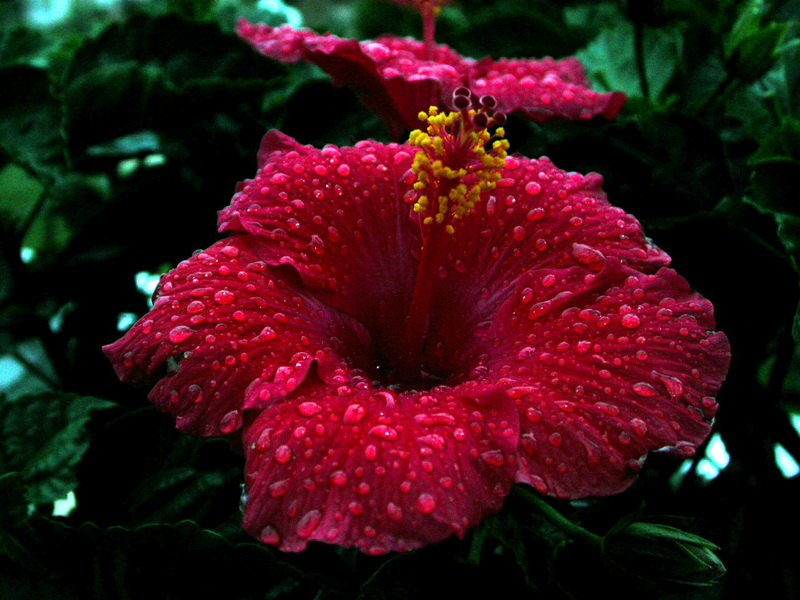 Finally, hibiscus has been show to slightly lower blood pressure. I like hibiscus tea sweetened with stevia and served over ice. And its beautiful red color can make it a great addition to a Valentine’s Day gift for any one whose heart you love. This entry was posted in Health and tagged blood sugar levels, elevated cholesterol, heart health, hibiscus, high blood pressure, hypertension, insulin resistance, low hdl cholesterol, metabolic syndrome. Bookmark the permalink.